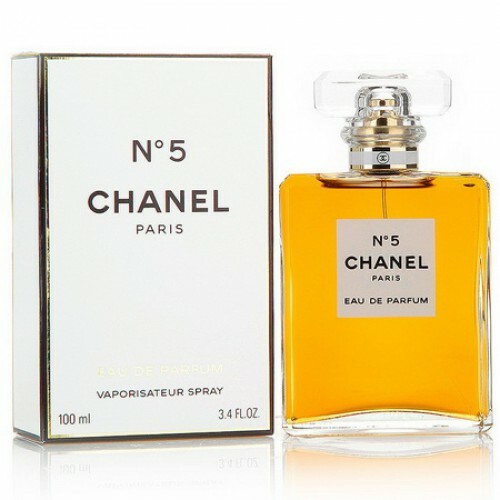 Chanel No.5 EDP is one of the 10 most popular fragrances in the world. Chanel No.5 EDP 100ml. is a floral woody scent for women that relies on certainty and quality over time and millions of women. Icon between perfumes! A honey-yellow love drink handed down from generation to generation. It's just a charm and a celebration of true womanhood! With Perfume No.5 you will be at least as seductive and sensual as Marilyn Monroe, who has also liked the classic fragrance today. In the beginning you will be enchanted by the essence of the bloom of the orange pompous ylang-ylang. The classic sweet notes of jasmine and rose will give you French style and charm. The unique blend of heady Bourbon Vanilla, Sandalwood and vetiver delivers sensuously your body and lasts for a long time. Chanel No.5 is absolutely unique and unrepeatable. It was launched in 1921 and today it is one of the 10 most popular fragrances in the world. Indulge in luxury and get even the most famous scent of all time! They say that this fragrance personifies the woman herself. The same multifaceted, elusive and mysterious. Russian perfumer, inspired by the charm and grandeur of the legendary Coco Chanel, created an unforgettable perfume for the goddess of fashion. In the bottle of flavor - the image of a woman: domineering, strong, bright and beautiful.